Recently Looking Good Licensing signed an agreement to represent Roy Rogers, the brand, for licensing. 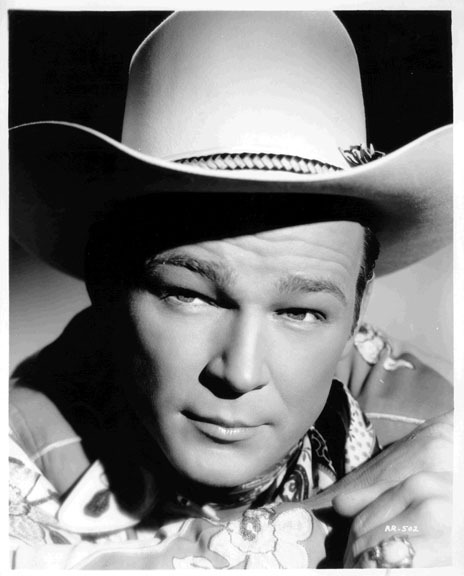 Roy accompanied by Dale Evans, Trigger and Bullet was an American singer and cowboy actor who was one of the most popular and beloved Western stars ever. Through the 50's Roy had 400 merchandizing items, second only to Disney. Attracted 80 million film goers annually. In today's dollars he generated $7.3 billion dollars in licensing revenue. In late 2018 the Broadway musical Happy Trails -- the King of the Cowboys Rides Again® should appear. Directed by Jersey Boys director Des McAnuff and written by Jersey Boys writer Marshall Brickman, with musical arrangement by T-Bone Burnett. This enormous iconic brand will have huge licensing opportunities due to the Broadway Musical release. For more information contact Looking Good Licensing, LLC. Looking Good Licensing is also pleased to announce it has recently signed Seth Casteel the immensely popular creator of Underwater Dogs. For the first time ever Underwater Dogs, Underwater Puppies, Underwater Babies and Pounce (for cats!) — are available worldwide for licensing opportunities. CBS This Morning, National Geographic Magazine - Visions of Earth, Inside Edition, The Insider, The Meredith Vieira Show, People Magazine, The Huffington Post. Over 600,000 copies in print Worldwide, making it one of the best selling photography books of all time after only 3 years in print. Please contact Looking Good Licensing, LLC for licensing opportunities.